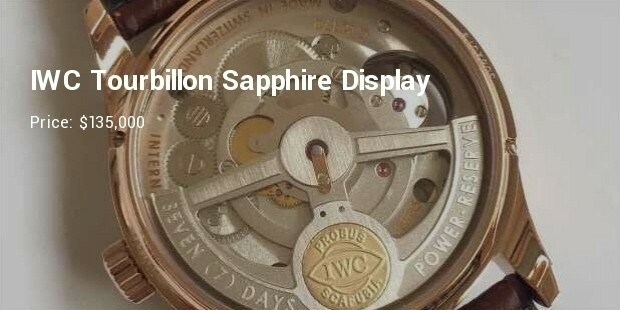 The International Watch Company was established by the American Florentine Jones in Switzerland in 1860’s and is now considered to be one of the foremost brands of super-expensive and luxurious time-pieces. The IWC has successfully integrated the latest time-keeping technology of the Americans and the intricate craftsmanship of the Swiss to produce the most superior quality watches since their inception more than 150 years back. 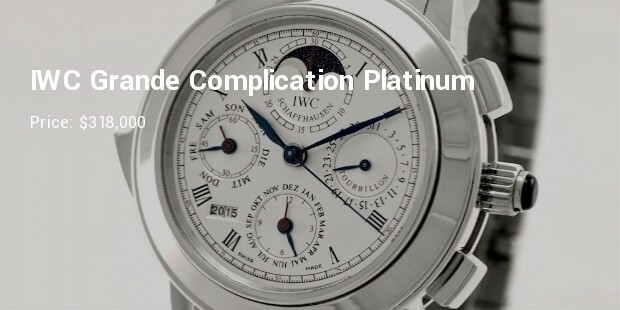 The IWC takes pride in the fact that substitute parts and repairing technology for all its time-pieces since 1868 are available for their prestigious list of customers even today. 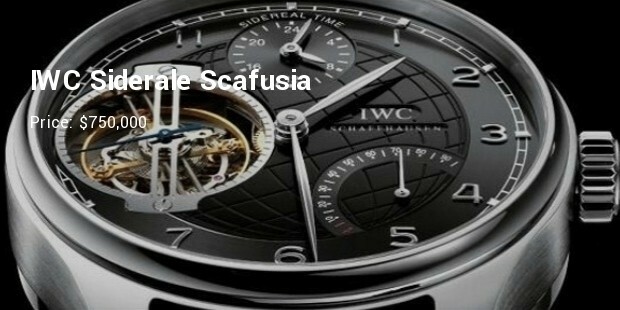 Being one of the most complex watches manufactured by the IWC the Siderale Scafusia has an astronomical display and a perpetual calendar. 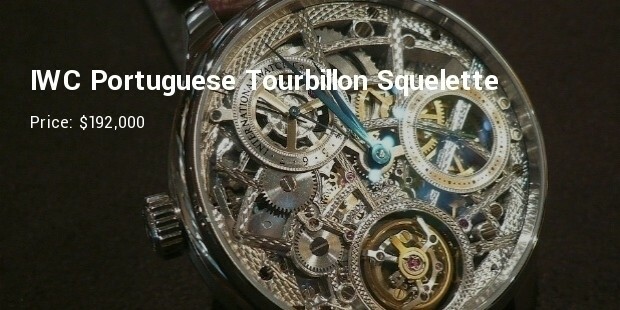 The oversized tourbillion gives running seconds and keeps the correct time for 48 hours along with a host of other impressive features. 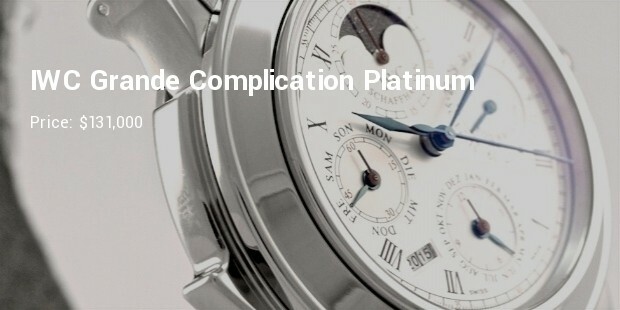 The IWC Grande Complication was launched more than two decades ago with a body and bracelet made of platinum. 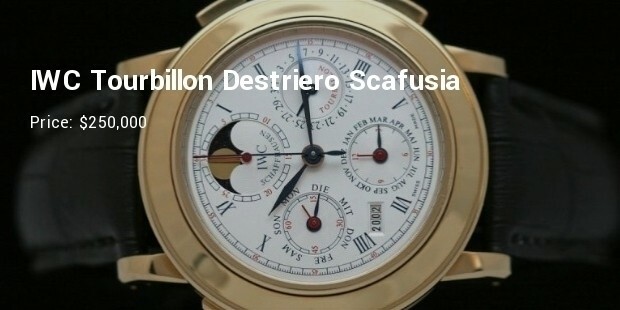 Produced as a limited-edition with just 50 pieces manufactured annually this watch has an automatic movement chronograph, minute repeater and a calendar showing the phases of the moon as well. 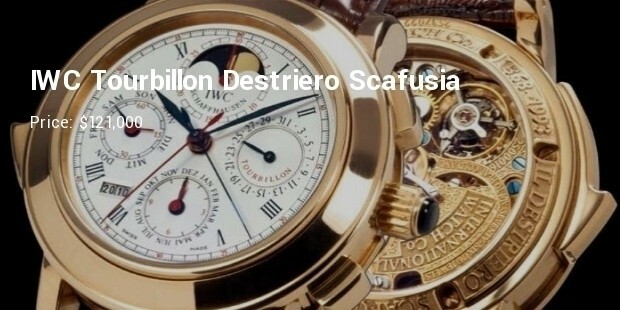 The Destriero Scafusia is one of the 125 limited-edition watches made by IWC to mark its 125th anniversary. 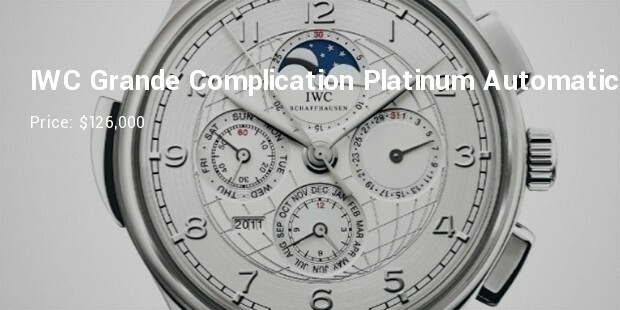 This watch contains a very rare platinum minute repeating perpetual calendar, split-second chronograph along with moon-phase display. This limited-edition was also made for the company’s 125th anniversary celebrations and is made of 18k gold with 76 jewels engraved in it and has an 18k gold buckle to add to the luxurious factor. 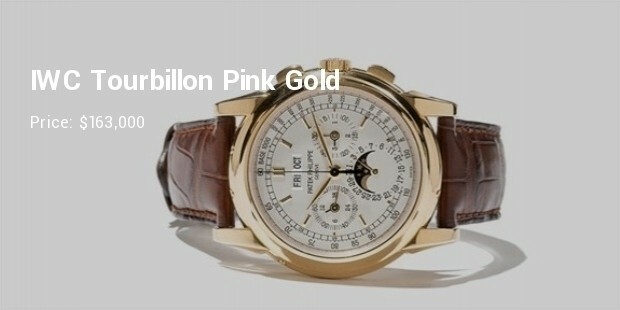 The rarity of the wristwatch (only 125 pieces) and its handcrafted manufacturing makes the price remain high. 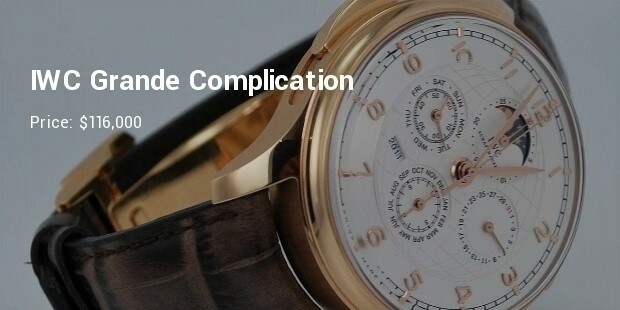 The International Watch Company (IWC) watches are a class apart in the wristwatch segment due to their intricate handcrafted style, classic design as well as the rarity of being one of the most exclusive and limited-edition timepieces to be made.